Our winemaker has hand chosen these wines especially for our members. We hope you enjoy the selections. The Variant Series White Cabernet Sauvignon is a true “white” wine with big aromas; strawberry, melon, and peach are prominent with subtle floral back notes. This wine’s fruit plays on the palate integrating well with its acidity and sweetness, notes of strawberry and melon come to mind. Most White Cabernet’s are darker in color due to a more vigorous pressing. A softer press keeps most of the color locked in the skin, the result is a softer more subtle wine. Pairs well with spicy Thai dishes, curry spiced dishes, and fruit vinaigrette salads with goat cheese. The sparkling Coconut has a beautiful hint of coconut when poured into the glass. Natural coconut flavors are infused into our Brut blend to bring out a distinctly clean tropical coconut experience. This Viognier has a light straw color with fresh fruit aromas of apricot, peach, honey dew melon and guava, with a floral background. Supple and round in the mouth, this wine has full-fruit-forward flavors of peach, green melon ,and a hint of tangerine in the finish. This Viognier’s aromatic and fruit forward nature makes this wine pair well with spicy foods such as Thai cuisine. This Sicilian wine is full-bodied with soft well integrated tannin. The fruity characteristics of this grape are presented with flavors reminiscent of tart plum, red cherries and a hint of licorice on the finish. Aromas of dark berries and tobacco play on the nose. This wine cries out for Italian cuisine. Try it with eggplant parmesan, spaghetti bolognese and osso buco. Our Variant Series is a blend of Cabernet Sauvignon and Zinfandel. This is a very popular California blend style combining the concentrated jammy aromas and flavors of zinfandel, to the well-structured framework of Cabernet. The result is a full bodied wine with lots of fruit. This wine makes for a great outdoor barbecue red wine. Serve it slightly chilled with a Texas style barbecued brisket. A Wilson Creek classic. This wine is a beautiful blend of Cabernet Franc, Cabernet Sauvignon and Petite Sirah. Sweet oak spice is immediately noted on the nose followed by the deep fruit of the Petite Sirah. Rich flavors of plum, cherry and blackberry cascade to a nice full smooth tannin finish. The fruit and acidity of this wine is well defined and structured making this a great wine to be served with roasted foods such as roasted pork and beef. The art of Temecula Valley is presented in this Family Reserve wine. Syrah was blended with Petite Verdot and Malbec to produce a rich full flavored Syrah displaying it’s classic notes. Cedar and spice are prominent in the aroma of the wine whereas cherry and sour plums are revealed on the palate. Try this Syrah with smoked foods, chilled smoked salmon salad and dishes with smoked Gouda cheese. If you would like to switch to a different club please contact the Wine Club team prior to the release. RE-ORDER ANY of the still wines found in this release and receive a 30% discount on single bottles AND 35% discount on cases or mixed cases! Offer is valid in the tasting room and online (excluding VS White Cabernet and all sparkling wines). 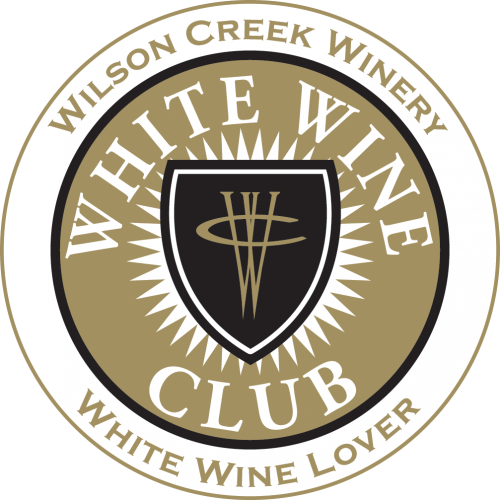 Member discounts apply after logging in, or by contacting your “Extended Family” Wine Club team through April 30, 2019. VALID ON FEATURED WINES ONLY, WHILE SUPPLIES LAST! Offer may not be valid in some states. All shipments held for approximately 45 days before the nominal shipping fee is applied and your wines are shipped for you to enjoy. If you would like to have your wines held for an additional 30 days please make arrangements with the Wine Club team.